Gas Price details : Sent by a Reader : Your comments please ! 2. Under the first NELP plan, bids were called for contractors to explore and develop these Government-owned potential oil fields. Reliance Industries teamed up with a Canadian firm, Niko Resources (90% Reliance, 10% Niko) and won the right to explore and develop 12 out of 24 blocks offered. 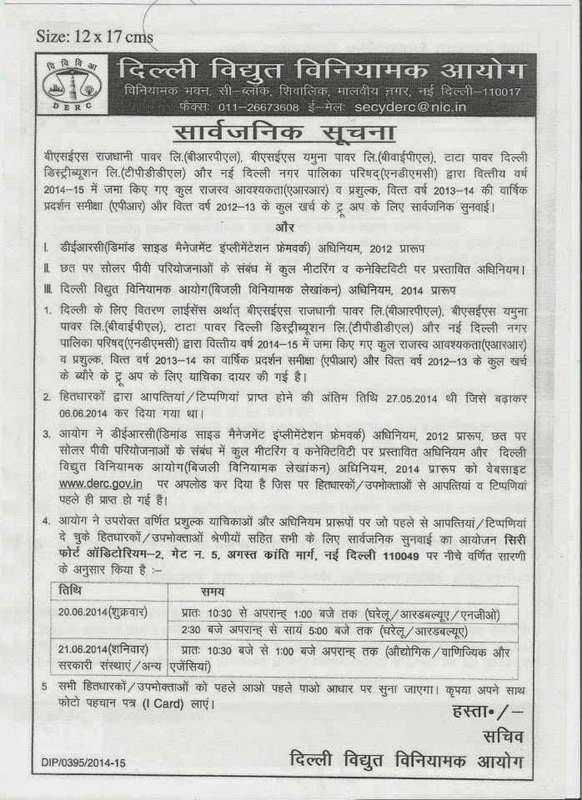 (You can find details on the Indian govt website here: petroleum.nic.in/NELP-I.doc). 3. Since then there have been several more NELP bids, and Reliance has won a few of those. 4. Reliance-Niko outbid ONGC, Cairn and others to these blocks. 5. The basic bidding criteria - and you can read a sample bid document herehttp://petroleum.nic.in/nelp91.pdf if you have the interest and patience - was the amount of profit share offered to government of India by the bidder, and the lowest operating cost the bidder commits to that it can adjust every year. These bidding criteria have changed slightly since - but that is not germane to the issue. 6. Here's a simple way to understand it. The government owns the fields: some are on ground, some are in shallow water and some are in deep water but all in Indian territory. The winning bidder would explore and develop those fields at its cost. It would bid what its cost was - the lower the better. Once the gas was found, it was allowed to first recover its stated costs, and then pay revenue share to the government. If gas was not found, it would simply return the fields to the government - indeed 13 of those initial 24 fields were returned to the government. These two factors: committed low operating cost and committed high revenue share to government helped government determine who would win the fields - in each case, government calculated the most valuable economic option to itself. 7. In effect, the winning bidder merely had a contract to operate on government property, then apply some fixed costs for equipment and some variable costs of manpower and ops - and produce gas for all of us. 8. The first contracts were awarded in 2000, Reliance found gas, and signed its first long term contract in 2002 - for 17 years - with NTPC - another government undertaking - to provide it gas at US$ 2.34 per million British thermal units - or mBTUs. This is the price they committed to charge from 2002 to 2019 - which catered for all their present and future anticipated costs. 10. During this time, the price of natural gas globally went up significantly. This wasn't due to increased costs - it's perhaps closer to supply and demand and also to how a cartel like OPEC operates - you set the price you think you can get away with, regardless of input costs. 11. While this could be good news for countries like India with large oil and gas reserves - it shouldn't really make much difference to an operator who has taken a government field on a lease - after all, his costs - of rig equipment and people's salaries were reasonably fixed - or move in a slow band. 12. Of course, this was a great opportunity - and Mukesh didn't use it just screw the government-owned NTPC here, he screwed over his own brother too. He followed in his dad's footsteps of "fixing" government to change all the norms once he had won the contract - and went and worked hard to break the contract in 2009. 14. Undeterred by the minister asking them to bugger off, Mukesh did the classic Reliance gambit - he got Jaipal thrown out of the Ministry and shunted elsewhere and replaced by buddy Murli Deora. This dude in turn got Pranab Mukherjee - yes, our current President - to call some meeting of some temporary committee called the Empowered Group - to rubber-stamp Mukesh's demand to charge $4.20 per mBTU - remember this is for gas produced on our land not Reliance's - from now on. 15. So Anil and NTPC went to court about this. The case is still dragging through courts - and the Government isn't backing its own company NTPC in the fight. Anil was likely neutralised elsewhere and hasn't moaned too much about it lately. 16. That's what Mukesh is being paid now. And that price, for our gas produced from our land and our seas, is what we pay from our taxes - and that impacts the prices of the inputs to our fertiliser plants, and impacts the price of our foods, our transport systems - and our monthly expenditure. But, hey, that's not enough. Senior Ambani found a way to screw us over again. 17. Remember, there was a clause which allowed the operator to first take back the money equivalent to their set-up costs, and then deliver profits to the government after that? When Mani Shankar Aiyer was Minister, in 2004, Reliance had asked for and got approval to spend Capex of $2.39 billion to produce 40 million metric standard cubic meters of gas per day. . This basically meant that Reliance was first allowed to claim this $2.39 billion - some Rs. 10,000 crores - before it paid a paisa of revenue share to the government. 20. Further proof of padding or "gold-plating" came in the CAG report - and in an investigation done by the Indian Embassy in Singapore, about a mysterious organisation called Bio Metrix which was a beneficiary of Reliance's inflated costs which suddenly invested Rs. 6,500 crores into Reliance from Singapore based on loans given to it by an Indian bank on no declared collateral. Imagine that - walking into an Indian bank as an unknown company in Singapore and asking for Rs. 6,500 crores in loans to invest in equity of Indian companies. And getting it Of course, the company was controlled by known Reliance network figures - and seems to be a clear case of over-billing in India, having your own benami company as a vendor, paying it overseas and then circling the money back into India, into your own companies. Sweet, na? 21. And you know what happened after that - the investigation by India's own embassy goes nowhere and the CAG Vinod Rai was shunted out and replaced by Shashi Kant Sharma - the prior defence secretary, well-known in arms circles for routing kickbacks. 22. But it doesn't end there. The Ambani ability to fix the Congress government continued. Reliance jockeys for a higher price than the $4.20 - from our own wells. And to show it means business, it suddenly claims a huge drop in production - in other words, it's a threat. "Give us a higher price, or we'll go on strike, on your wells". 24. Once this is lined up, Reliance magically discovers and announces that its capacity will go back up in the future - its stock price nudges up. By now our man has BJP and Congress on his side. But when the AAP problem happens and the unspeakable occurs - all these people and Ambani included have FIRs registered against them for gross theft and corruption, he pulls the strings and both the BJP and Congress collude to make the AAP government fall in 72 hours after the FIR. 25. That doesn't stop the process though. The ministries push for a price hike from $4.20 to $8.40 per mBTU starting April 1 - a clear attempt to push the change before the elections and before the public makes a big deal out of it, who knows what the results will be. 26. Arvind Kejriwal and the AAP pick up on it, petition the Election Commissioner - and he sees sense in the complaint and orders a halt to the hikes for another 60 days. Pretty much till June 1. But presumably Ambani isn't worried - he has moved his focus from Congress to Modi now - and he feels it'll be pushed through after the polls. That's a higher cost for gas into all our industries - from fertilizer to transport to energy coal and more. And, when that happens, we'll pay the higher price for that in the things we consume too. The increasing deterioration of environment in delhi had made me to request you again to help us in planting more and more trees in delhi. We have been successful in planting many trees in delhi. We have already raised fund, only we are looking for free spaces in delhi/NCR. Please help us in identifying the free spaces.Your kind help means a lot, it will provide delhites a healthier environment. Hope to hear from you soon, Sir. Lets plant for the planet. SEEN THE ARTICLE. OUR SOCIETY NAVRACHNA APPARTMENT HAS SPACE FOR PLANTATION BY THE SIDE OF BOUNDARY WALL THEY CAN INSPECT THE SITE AND CAN PLANT TREE ACCORDINGLY. I am living at A-190/4 Inder Enclave Phase – I Nangloi Delhi-110086 our society’s roads are in very bad condition and due to this drain water blocked in road and people are facing problem to going anywhere. So are requested you please prepare the our society’s lane number 04 and get resolve the issue. We are very thankful to you if you will take action in this issue and solve the problem on immediate basis. This was the third consecutive Public Hearing that was Hijacked by Politicians and each time I had prepared hard for the hearing. This time I made the additional effort of coming back from Palampur a few days earlier only to attend a Sham of a meeting. But why did I say .... was it done on purpose ? ...... As I entered, I noticed the front row was vacant and seemed reserved. The Hearing started sharp at 10:30 am and many RWA members started taking turns to speak ..... I have been appearing in Public Hearings since 2008 and have never seen most of the the initial speakers ........ at around 11:15 am some senior Delhi Congress leaders along with chamchaas walked in and occupied the front row. Most of the new speakers were actually singing praises of DISCOMS, actually Tata DISCOM ....... At around 12:20 pm the first serious speaker Mr. Ashok Bhasin got a chance to speak, a while later Mr. A.K. Datta a stalwart at DERC Hearings got his turn ..... in the middle of Mr. Datta's PRESENTATION (mark my choice of words, a lot of research had been done) Mr. Mukesh Sharma started shouting slogans and amidst chaos and the Chairman called an early lunch break. The serious speakers who had prepared hard and could value add to the debate were miffed at this Circus, me included .... I left the venue in disgust as this was the third futile Hearing that was deliberately hijacked. by all means call an open Public Hearing on a separate day where all those wanting to empty their spleen can perform whatever verbal acrobatics they want to indulge in can be allowed in full media glare. C A G has exposed U P Power Scam in PPA's with Reliance, Bajaj Energy, J P Associates and Urban Distribution Franchisee of Agra with Torrent costing loss of more than 25000 Cr Rs to UP PCL. A I P E F & UPRVP Abhiyanta Sangh has demanded immediate cancellation of PPA's & Franchisee agreement in view of C A G report. Similar will be the case here that is why the DISCOMS are not agreeing and take cover under the Courts? 5) Had requested your kind offices to make DERC independent of the Govt so that they could function and report directly to you.You have so many representations from Political Parties,Peer Groups and DERC it self etc.So why are you not taking a decision on the same ??? 6)E-Rickshaw ban the populist move of the Transport Minister for votes has again killed the supplies of ENERGY as they would steal ,katiay on street lights and will burden the genuine consumers with this subsidization.As well throw there used batteries all over DELHI and creat another hazardous catastrophe in times to come as no Policy of e waste and its dispersal as in USA/Europe etc. 7) Election expenses when never they would happen in Delhi have written on the same and this would again hike PRICE. 10) Jal Board coming with a hike again. Am amazed .Again a Tornado of Price hike. Sir what is in your hands kindly attend the same and provide the Delhi citizens some respites your honor. JINDAGI - A new channel of Zee Network is being launched on 23rd of June at 8 pm for connecting the hearts & minds of people of India & Pakistan. A great initiative with a hope to view the Galiyaan of Lahore & Rawalpindi with the actors & actresses across the Border. Let's hope, ZINDAGI will be a new bonding chain of flourishing relations between the two countries. Let's hope, ZINDAGI will be JODEY DILON KO through ZEE's corporate philisophy 'VASUDHAIVA KUTUMBKAM' - The World is my Family. Let's hope that ZINDAGI will give a NEW ZINDAGI to the friendship of both the countries by breaking all the barriers. We always wanted to visit Pakistan, but the Tensions between the two countries never gave us the opportunity. Hopefully, we would be able to view our neighbouring country, that was once our own part, through JINDAGI. Though we could not visit Pakistan, we tried to satisfy our desire by visiting the Wagah Border. During our first visit to the Wagah Border, we left from Amritsar in the early morning but due to excessive cold it was fog all over. Even on reaching the border we found nothing visible. During our next visit, we left from Amritsar at around 3 pm to catch the views of the Flag ceremony there. Though Cars are not allowed inside that area, we got the permission & reached the prime spot well in time. It was really a delight for all of us. We could view our Soldiers on the Border as well the Militry personals of Pakistan on the other side. It was a great feeling, that we were on the Border. The minute the ceremony started, there was slogan shouting from both the sides. We all were also chanting very loudly, " Hindustan Zindabad ". In a minute, it electrified a great feeling of Patriotism amongst all of us, a feeling of being Proud Indians. The truth is that the people of both the countries are willing to mingle with each other, willing to do business with each other. But the tensions since 1947, that are the brain child of the vested interests of Pakistan, never allow the flowers of friendship to come into existence. That's why, they keep on continuing the attacks on our Borders, our Parliament, Red fort and other important places in India. Many a times our soldiers have been killed brutally. The peace talks of Sh Bajpai ji lead to Kargil & even after the visit of Mr Nawaz Sharif to meet Modi ji, it's still raining bullets on our Borders. Let's hope that ZEE NETWORK through ZINDAGI will make an impact on those vested interests & they will forget all the enmity with us. Let's hope that through ZINDAGI Pakistani hukumraans will understand that there is no use of keeping the issues boiling all the time. Let's hope, ZINDAGI will be a new bonding chain of flourishing relations between the two countries. Let's hope, ZINDAGI will be JODEY DILON KO through ZEE's corporate philisophy 'VASUDHAIVA KUTUMBKAM' - The World is my Family. Let's hope that ZINDAGI will give a NEW ZINDAGI to the friendship of both the countries by breaking all the barriers. Labels: DERC Public Hearing ! Issapur: At a village in the suburbs of Delhi, a chronic water problem has left many young men facing prolonged bachelorhood. Issapur in Najafgarh in the capital's north has not seen a wedding for several years, and villagers link it to the water crisis. "People come here and the minute they see the water situation, they change their mind. (They) say they don't want to get their daughters married off here. There are so many who are touching 30 and still haven't got married," says Prem Singh, 28, pointing at his friend, 31-year-old Narender. Narender retorts, "There were two proposals for Prem Singh, but the families ran when they saw him chasing a water tanker. They must have wondered whether their daughters would have to do the same." For most villagers, this is no laughing matter. An old man tells us, "I've been trying to get my nephew married for a long time. I gave him clean new clothes in the hope that it will work but when nothing does, I still have to make sure he washes his clothes so that we can try again." Roshni Dagar, returning home with half a bucket of drinking water borrowed from a neighbour, isn't surprised. "It's natural for people to worry about their daughter getting married into a hard life," she says. Sushila Dagar stares at four empty water drums in her home as she complains, "Water has to be filled from tankers. Women have to climb the tankers to extract water with the help of pipes. Many fall and hurt themselves. Why would anyone knowingly want to go through that?" Issapur depends on erratic water supply from the Delhi Jal Board. That means every morning, women queue up by the roadside with water containers. They wait all day and if the tanker doesn't show up, they simply repeat the drill the next day. Villagers here wonder why access to water is such a struggle for them even though they are a part of the country's capital city. Labels: Some important issues ! Another Web Portal by B S Vohra : www.flourishingproperty.com Please log on to view details of various Residential & Commercial Apartments ( with 12 % Assured returns ), Flats, Shops, Offices etc being offered by various Builders & developers. Another Blog by B S Vohra is on top rankings now. 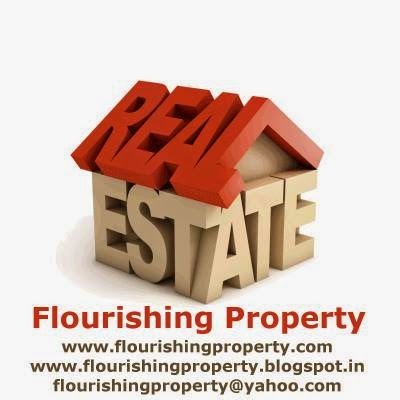 Flourishing Property : www.flourishingproperty.blogspot.in is the Blog offering latest information on the Property trends in Indian market with the latest news. Please feel free to subscribe the blog if you have any plans to buy , sell, rent the property. Just log on to the blog. On the right side, there is a Tab asking to Subscribe Free News Letter. Just enter your mail ID & click on the subscribe button. You will be asked a code to type to check that you are human. After that you will get a verification mail. Just open the mail & click on the confirmation / verification link. Thats all. THANK YOU VERY MUCH AS FAR AS ROHINI POCKET 3 RESIDENT WELFARE ASSOCIATION IS CONCERNED THE FOLLOWING ARE THE PROBLEMS BEING FACED BY THE RESIDENTS. 1. INTERNAL ROAD:- THEY ARE IN VERY BAD SHAPE. 3. WATER SUPPLY:- NOT SATISFACTORY 20 TO 30 MINUTES ALTERNATE DAYS. 7. PARK:- IS MAINTAINED BY MANAGEMENT OF THE SOCIETY AS AUTHORITIES CAN DO NO WORK THE SOCIETY IN IN OUTSIDE EXCEPT CLEANING OF ROAD NOTHING IS DONE IT IS STEP MOTHERLY. I hold the Govt. responsible for all this mess of pollution all over the capital. The real cause is the unplanned increase of population only in Delhi and New Delhi and entrants of the people in Delhi has the liking for the Capital. Reason very simple the politicians have made the city totally lawless, no law is ever abided. Every year growth of Jhuggies and unapproved colonies with a promise of regularisation later on, are constructed with the connivance of the Police and the Head of Juggi cluster, who is always in touch with the politician. This unprecedented growth is main cause of high rise pollution, the jhuggies dwellers are bent upon in cutting trees around the surrounding without any fear, creating unhygienic condition in and around their dwellings, defacing in the open and using free water and electricity. They have become used to it, because of the Vote Bank politics. It needs to be stopped or modified and the officials responsible should be taken to task. Strict discipline need to be enforced and growth of population to be checked. Citizens of Delhi are suffering ! 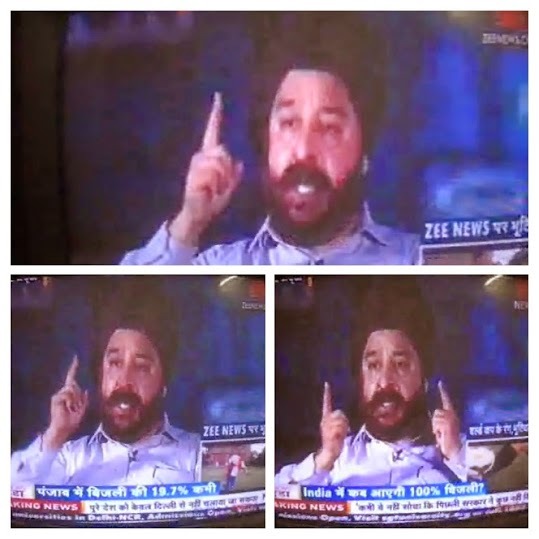 Vohraji i agree with your well thought out views in this blog. Elections for Delhi assembly elections should have been declared long ago. By not doing so citizens of Delhi are suffering as development work is held up. Who is responsible? Earlier it was UPA and now BJP SHOULD NOT DELAY ACTION ANY MORE. 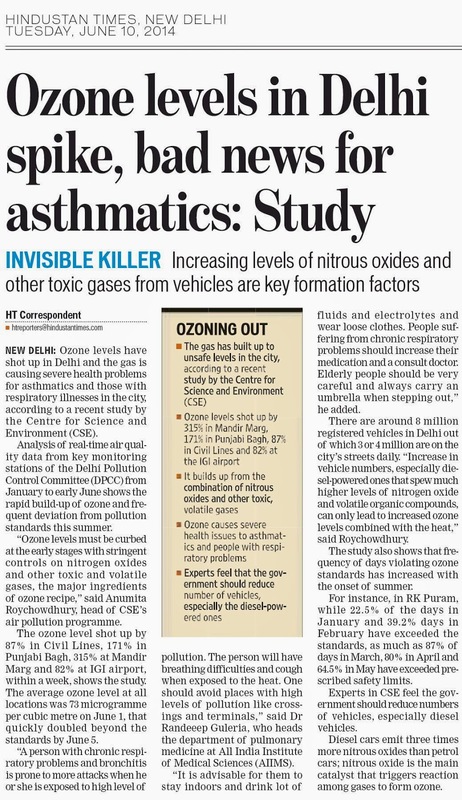 Worried over the Tag of the Most Polluted City of the world, we want to ask a question from the 'Central Pollution Control Board', that, " Is Delhi on the verge of a Respiratory / Cancerous Disaster ? ". Labels: SHOCKING World Environment Day ? Who cares about our Most Polluted Delhi on this World Environment Day ? Labels: Who cares about our Most Polluted Delhi on this World Environment Day ? In one of his first decisions as Mayor of the North Municipal Corporation, Yogendra Chandolia on Tuesday announced that complaints regarding non-functional streetlights can now be made directly at 24×7 helplines at the zonal control rooms of the corporation. “Till now, complaints regarding non-functional streetlights were made directly to the discoms, which was cumbersome for consumers,” he said. Grievances regarding streetlights can also be routed through the electrical divisional offices of the North corporation. With the new move, the corporation is making its offices and officials more accessible to people. “Complaints regarding faults in streetlights can be made directly to the corporation at 24×7 helpline numbers at the zonal control rooms or electrical divisional offices. The complaints will immediately be forwarded to the discom concerned for prompt action,” Chandolia said. The mayor said the corporation will act as a go-between in fixing faulty streetlights as soon as possible. The city’s three discoms, the Tata Power Delhi Distribution Ltd (TPDDL), BSES Yamuna Power Ltd (BYPL) and BSES Rajdhani Power Ltd (BRPL) maintain 1,19,256 streetlights and semi-high mast lights in North corporation areas. North corporation Commissioner Praveen Gupta said the number of streetlights, semi-high mast lights and park lights maintained by the electrical engineering department of North corporation was over one lakh. Problems all over BUT none to listen ! Problems every where BUT none to listen ? Problem of non pruning of trees !